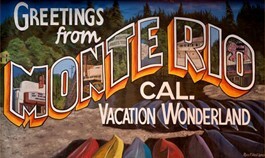 For the past century, the exclusive Bohemian Club has hosted the Monte Rio Community Variety Show during its annual retreat at Bohemian Grove. Held in the grassy Monte Rio amphitheater behind the iconic Pink Elephant Bar, the Grove presents entertainment running the gamut from comedy and skits to one-act plays and musicians of every ilk. Though the lineup is never officially announced, rumor has it that last year's Grammy-winning headliners the Zac Brown Band will appear again this year. Other performers range from 87-year-old classical violinist John Creighton Murray, who has performed 47 times, to local blues favorite Roy Rogers. Clint Black, Jimmy Buffet, Steve Miller and Big Al Anderson of NRBQ have also appeared, as well as Sonny and Cher (both with mustaches), Merv Griffin, Ray Bolger and Bob Weir. Rich Welker, conducting the Bohemian Big Band, annually kicks off the pre-show with a jazzy flourish. Gates open at 7am for early-bird chair setup; no blanket seating is allowed on Thursday, July 28, at the Monte Rio Amphitheater, Bohemian Highway, Monte Rio. 7pm. $5-$25. 707.486.1739.